Rainbow Riches is an online video slot released by Barcrest in 2013. The Irish-themed slot uses 5 reels and 20 adjustable pay lines. 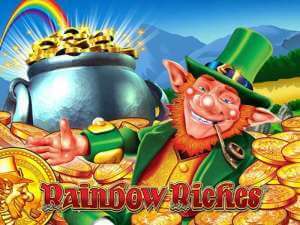 The goal in the Rainbow Riches slot game is to find the pot with the leprechaun’s gold hidden at the end of the rainbow. Featuring crisp graphics in vibrant colours with golden and green accents, the Rainbow Riches online slot game offers three bonus games. The slot’s protagonist will show you the road to riches, so make sure to follow him and win up to 500x your bet. Let’s find out more in this Rainbow Riches slot review. The reels are set within a golden frame and against a field with a rainbow. You might find it a bit odd that the field is purple, but if you believe in leprechauns, you can buy it too. The Rainbow Riches slot machine is home to only two high-value symbols. It’s the Wild depicted as a golden coin with the leprechaun’s profile on it and the Rainbow Riches logo. Other positions are populated with playing card symbols which may strike you as an uninventive way of filling the reels but wait to hear what the game has to offer. In case you are on a budget, try to choose a lower bet per line instead of deactivating pay lines, as the best odds of winning are when all of them turned on. A bet per line can vary between £0.01 and £20, so as a result, your total bet at all the lines active can be from £0.20 up to £400 per spin. Finally, to score a win, match at least two high-value or three low-value symbols in succession on a pay line starting from the leftmost position. The game benefits from four special symbols. The Wild that will replace all regular symbols and award a 500 coin jackpot. The leprechaun symbol is responsible for triggering the Road to Riches feature. Once you land 3 or more leprechaun symbols on the reels, you will be offered to spin the wheel which will determine the number of steps on your path to riches. As long as you stop on the numbers you will win multipliers that will be applied to your total bet. If the wheel stops on the word Collect, the feature is over! Three or more well symbols unlock the Wishing Well feature. 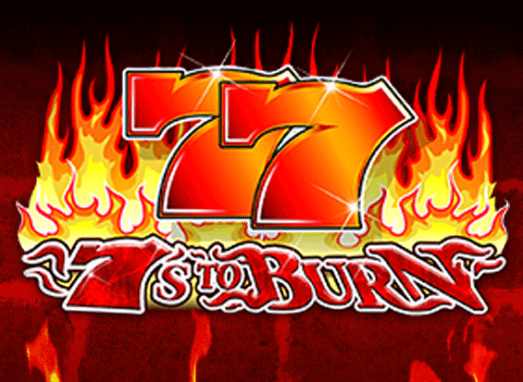 You will be prompted to pick one of the symbols to reveal a multiplier which will be applied to your current bet. Finally, the pot of gold symbol appears only on three central reels. Once you manage to land three symbols of a kind on the reels at the same time, the Pots of the Gold feature is activated. You will see the pots of gold, silver and bronze spinning around the screen and when they stop, the arrow will point to one of them and a multiplier will be awarded. All three bonus games can award up to 500x your total bet, so spin the reels to get to the end of the rainbow and reveal the riches. Rainbow Riches RTP and why play the Rainbow Riches free demo? Rainbow Riches is one of the hottest and most popular slots around right now. 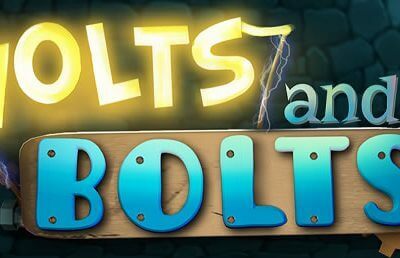 Barcrest have mixed the ingredients just right to produce a game that struck the right chord with the slot community. This slot cleaned up in the popularity stakes in casinos the world over and has gone on to make a huge impact in online casinos everywhere as well. There is a huge advantage for slots fans now that the game is available all over the internet. Namely, it can be demoed for free and this brings with it a wide range of benefits that we will look at. Let’s deal with the Rainbow Riches RTP first though. Rainbow Riches boasts an RTP of 95% which is neither the best nor the worst you will find out there. This is a mid-level figure that allows the game to pay out fairly regularly while also holding back to build for the big one. With some luck of the Irish and a little help from our Leprechaun friend, lucky punters can pick up a tidy 500x the stake with this one which is all good. Why play free Rainbow Riches slot demo? Now why would you want to avoid the chance of picking that up by playing in demo mode? For newcomers, it is the perfect opportunity to see what all the hype is about Rainbow Riches without spending a penny. Not one. Free play slots can be found all over the net and give players the chance to test drive whatever they want with no deposit required which is absolutely brilliant! Free play gives players a stress-free opportunity to thoroughly learn the rules of a game with no risk whatsoever to their bankroll! You get to understand each symbol, each bonus feature, and experiment with different bet levels with not a penny needed to do so. The slot has a max spin value of 500 coins but how many people are brave or cashed up enough to spin at that level? Well, in the Rainbow Riches free demo mode you can play at being a high roller to see how the game reacts with a 500 coin spin. These are all things that are only possible in free play mode online so make the most of it! What makes Rainbow Riches Slot so special? After wiping the (casino) floor with other somewhat popular machines, Barcrest’s Rainbow Riches slot infiltrated its forces in the online casino market too. 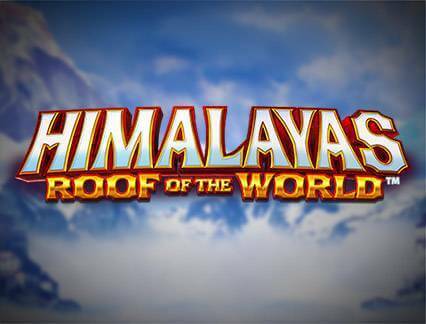 The game was extremely well received and still is one of the most played titles at Barcrest-powered gambling sites. Arguably, the Irish legends theme became as famous as it is now mostly because of Rainbow Riches. It’s a slot that makes you look up and gaze at the lucky rainbow as it stretches as far as the eye can see. 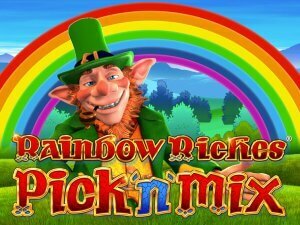 One of the charms of the Rainbow Riches slot is the power to make you feel the luck of the Irish. It’s because it has all the necessary elements: leprechauns, wishing wells, pots of gold and gold coins. So all you are expected to do is follow the rainbow. Do it right you’ll be rewarded with your share of the riches – your own pot of overflowing gold! Rainbow Riches video slot has 5 reels, 3 rows and up to 20 pay lines. Nothing out of the ordinary there, so you don’t need to adapt to a new game structure and mechanism. It’s the three exciting and rewarding bonus features that keep the audience glued to the screen, playing Rainbow Riches for hours. Collect three leprechauns on a single spin and you’ll be referred to a path full of multipliers of increasing values alongside a wheel of fortune. You’ll claim your multiplier after spinning the wheel and moving along the path. As a consequence, there is no limit to how many multipliers you can acquire until you land on the word ‘collect’ which ends the feature. The Wishing Wells feature adds more multipliers to your stake and the Pots of Gold Bonus does the same. As a result, by the end of your session, you’ll be bathing in multiplied riches and you’ll want to take the exciting spinning ride again.